Started in 1973, The Arts Society Young Arts provides exciting opportunities for children and young people to expand their horizons through their involvement in a variety of arts related activities. We aim to inspire young people with enthusiasm for the arts and increase awareness of our arts heritage and its conservation. Please click here for the current newsletter and here for details of how to report projects to The Arts Society. Previous newsletter- click here for the previous 2018 edition. Please also visit the individual websites of local societies to find more details of Young Arts projects in the Sussex Area. In the 2018/2019 academic year TAS Sussex Area has sponsored Samuel Matthews to study Conservation of Furniture. Samuel's Spring Report can be seen here. In the 2017/2018 academic year, two students received financial support from TAS Sussex Area, funded by contributions from individual societies and the profits of our Area Special Interest Days. For an overview of our links with the College click here. TAS Sussex Area scholar Stephen Loader received two prizes at the recent awards ceremony held on 5 July 2018, both for his outstanding skills in Horology (clock restoration). Local TAS societies also presented prizes at this event, to Sarah Askey for her work with Book and Manuscript restoration, and to Jane McNair for her creations under the Visual Arts heading. For further details of all four awards please click here. For more information about Stephen's major project please click his Spring Term report here an his End-of Year report here. Sarah's most recent report on her work can be seen here. For an example of Jane McNair's work click here. Our second 2017/2018 scholar, Rosie Blay also completed this summer and her Spring Term report is here, and her End-of-Year report here. Anyone who has ever dropped and broken a valuable ceramic piece can take heart that Rosie now has the skills to reconstruct it. Brilliant! CURRENT AND RECENT ACTIVITIES FROM SOCIETIES ACROSS THE COUNTY. Two Sussex students have had their work selected for the RBA Exhibition in 2019 which is a great achievement for the students and their schools. 247 pieces were submitted by 36 societies and 21 were selected for the exhibition in London. Bishop Luffa School student Francesca Krum’s piece is entitled ‘Rob’ (it seems her grandfather!) and Farlington School student Amber Li’s piece is entitled ‘The River’. To view the two pieces of work click here. All the selected work can be viewed on The Arts Society website. The two exhibitions of the work in London will be at The Royal Overseas League from April 26th to June 19th and at The Mall Galleries from July 4th to July 14th. Also visit The Arts Society City of Chichester website. TAS Mid Sussex - YOUNG ARTISAN of THE YEAR COMPETITION 2019 - Mid Sussex will be sponsoring the Young Artisan of the Year Competition at The 2019 South of England Show. Help is needed from The Arts Societies of Sussex to make more contacts with young people (14 -21) through colleges and specialist groups e.g. woodworkers, potters, textile designers, and encourage them to enter this competition. For more information, click here. TAS City of Chichester : has sponsored a print-making project at Bishop Luffa School for Year 9 pupils, illustrated here. TASs Chichester, City of Chichester and Lavant Valley: have completed their project at the Cass Sculpture Foundation. Their new combined project will be West Sussex Music sponsoring the Chichester Centre’s summer concert. TAS Eastbourne: provided three Magic Lantern workshops at Hankham primary School. TAS Horsham: international artist Rachel Gadsden worked with secondary special school students. 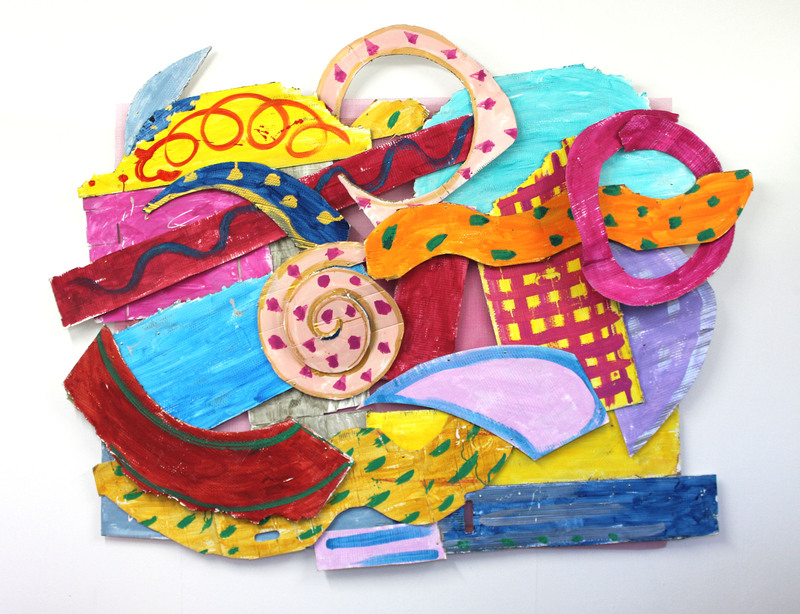 TAS Midhurst: a visit to the Cass Sculpture Foundation initiated a three week sculpture project for primary pupils. TAS Steyning : had two ‘Artist in Residence’ projects. A group of primary traveller children made posters to celebrate what it means to be a traveller and Year 10 students manipulated images for screen printing using Photoshop. TAS Walberton: supported a screen printing workshop for Year 8 boys at St Philip Howard Catholic School run by contemporary artist Sarah Pimenta from Social Fabric. To see the finished work click here. TAS Wealden Heathfield: sponsored two students to attend a printing workshop at London Drawing in London. TAS West Sussex: held another successful poetry workshop for local primary schools as part of the Petworth Literary festival. An annual award has been set up in memory of Susi Beale and this year the award is going to The Weald School for a combined poetry and art project. Information about previous projects can be found here.